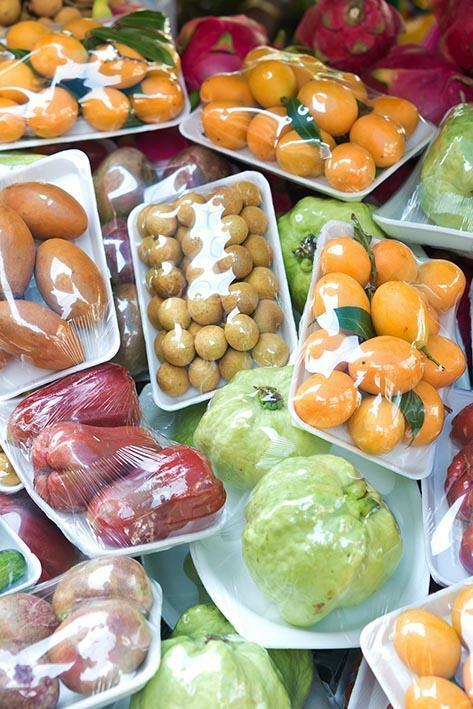 One of the hot topics in the food chain is the packaging. The research is geared increasingly towards the reduction of waste and of the use of preservatives while trying to increase the shelf life of fresh food. SAES, thanks to its functional polymer composites technology, used in the form of water-based lacquers and solvent-free (90% of lacquers on the market are solvent-based), proposes, through Metalvuoto, a group company, innovative plastic films. Unique products, both from the point of view of food protection and of respect for the environment. We are talking about "intelligent" products for the active packaging, developed and used when the content of the package is sensitive to the surrounding atmosphere. Thanks to these lacquers, able to absorb or block gases affecting the metabolism of the food, the packaging is able to exert not only the conventional protective function, but also to guarantee the increase of product shelf-life. This with the advantage of avoiding the use of preservatives but only thanks to an “intelligent” interaction with the internal and external atmosphere. All of this while simultaneously reducing the packaging thickness, allowing the elimination of multilayer films, and making it completely recyclable. In fact, a PE, PP or PET film coupled to these lacquers will always be fully recyclable in the respective plastic chain, differently from the multilayer materials.